Defending NASCAR Cup Series champion Martin Truex Jr. says “it’s time to stop getting run into and start running into” other drivers (per NASCAR.com), but he maintains that he won’t change the way he races after Sunday’s last-lap loss at Martinsville Speedway. 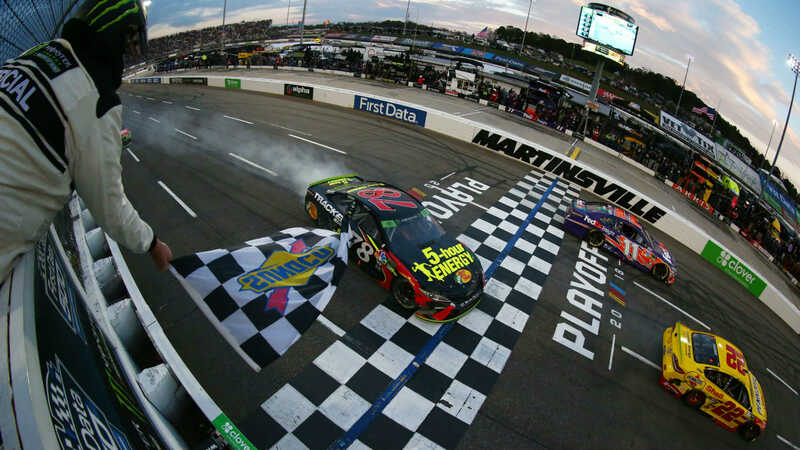 Truex’s comments came Thursday, just days after Joey Logano bumped him out of the way to get the victory in Virginia. Truex, who slid across the finish line third, felt that Logano’s bump was a cheap way to win. “I wouldn’t just wreck somebody to win a championship, just like I wouldn’t wreck somebody to win a race,” he said before a Toyota employee day at corporate headquarters in Plano, Texas (via ESPN.com). Truex said good friend Dale Earnhardt Jr. was among those who have texted him this week, many — including Earnhardt — telling him he’s too nice while racing. “I am who I am who I am,” Truex said. “I race how I race. Speaking of texts, Truex said he also had exchanged some with Logano, too. “I texted him [first] — let’s get that straight,” Truex said. “He wouldn’t have probably said nothing if I hadn’t texted him. In the immediate heat after Sunday’s incident, Truex declared that he wouldn’t let Logano “win the war,” a reference to this year’s Cup Series title, to be decided at Homestead. The two will be on the track at Texas Motor Speedway for Saturday’s AAA Texas 500 at 3 p.m. ET. There are only two playoff races remaining after Texas, with the champion to be crowned Nov. 18 in South Florida. There has been speculation on how Truex might prevent a Logano title. By Thursday in Texas, Truex appeared to have cooled off and indicated that he wouldn’t take out Logano the way Matt Kenseth did three years ago at Martinsville, where nine laps down Kenseth drove Logano into the wall. “I don’t see myself following Kenseth, but things have changed between us, I tell you that,” he said of Logano.